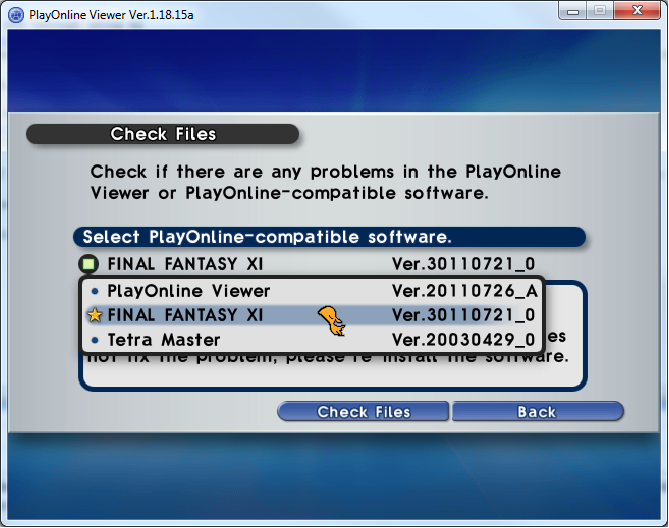 This guide will walk you through using my ROMs_20111214.rar, MOV_20111214, and Sounds_20111214.rar downloads to patch your fresh installation of FFXI. 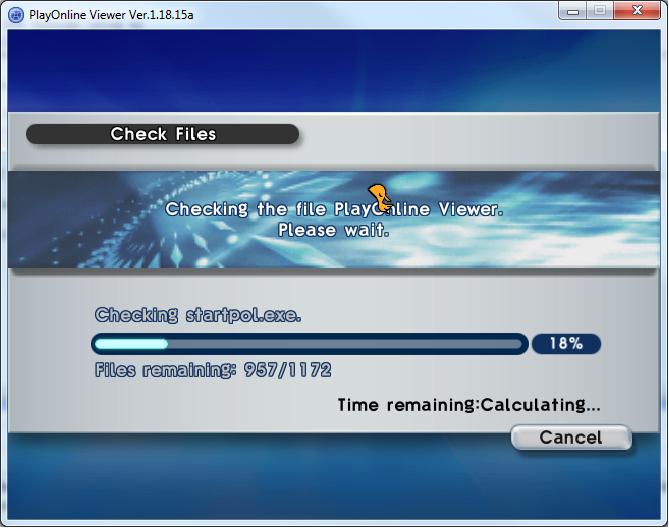 All screenshots were taken on 64-bit Windows 7. If you are not running the same OS, your directories may vary slightly. 2. Unrar the file. 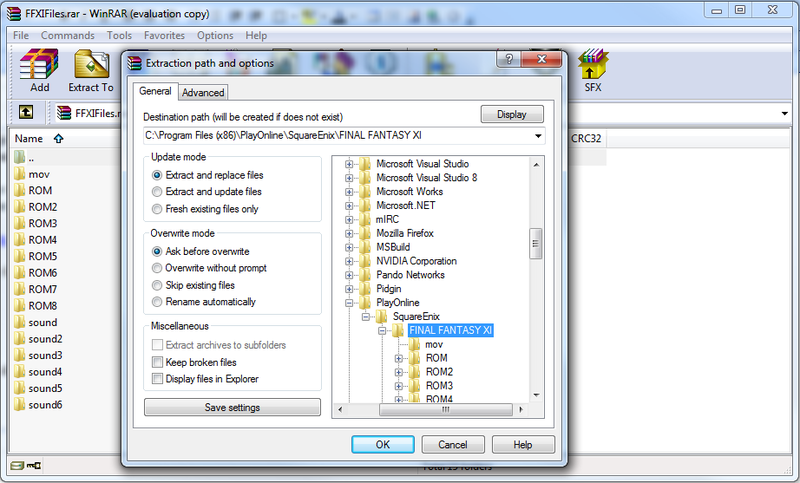 If you already have FFXI installed, you can unrar directly to the installation location. 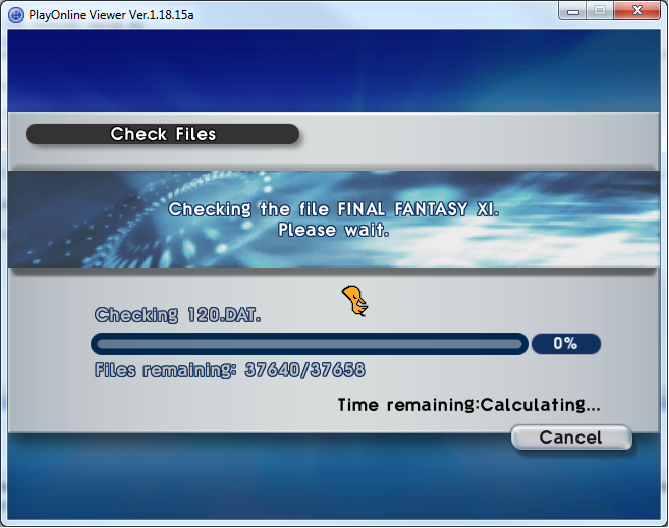 Keep in the mind the ROM .rar file has over 37 thousand files in it. It will take a few minutes to finish. 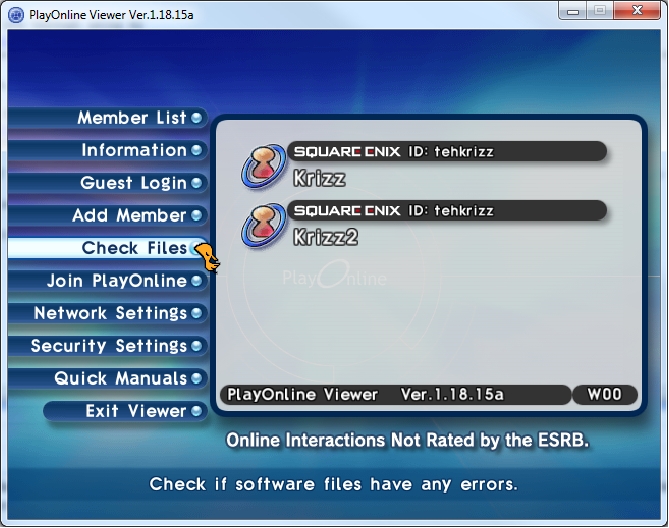 NOTE: You must attempt to sign in once before it will give you the option to file check FFXI.